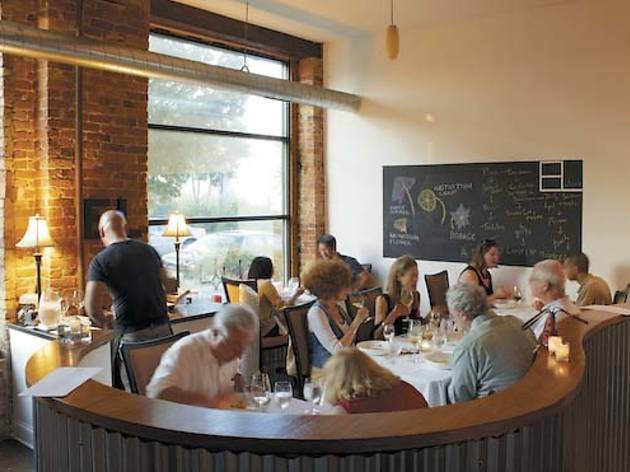 EL Ideas To get to EL, Phillip Foss’s 16-seat BYOB, you drive down an industrial alley in a crossroads of railway lines on the city’s Southwest Side. You may feel nervous, and you may wonder whether deciding to shell out $135 for a 12- to 14-course meal is wise. And in fairness, the dishes are sometimes too risky for their own good. 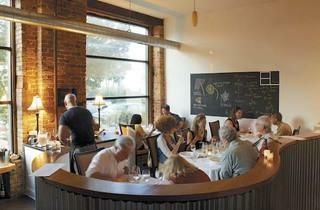 But the congenial, energetic environment nonetheless makes dining at EL a one-of-a-kind experience. Follow @phillipfoss for debauchery, food philosophy and cute kids. 2419 W 14th St (312-226-8144). Average tasting menu: $125. Frontera Grill Most chefs behind culinary empires branch out to other cities, leaving the original back home to suffer. Not Rick Bayless. He chose to keep close to the kitchen and expand in other ways (packaged food line, TV shows, becoming a Twitter celeb). For two decades, this has been the spot for intensely flavorful Mexican food. We like the upscale sister Topolobampo, but Frontera offers a vibrant slice of Mexico City, a place to chow down on ceviches, earthy mole, wood-grilled steak tucked into housemade tortillas and, of course, insanely good margaritas. Follow @Rick_Bayless for the occasional pic from the kitchen—or to live vicariously through his food adventures around the world. 445 N Clark St (312-661-1434). Average main course: $16. Three Aces Three Aces has the look and feel of a punky college bar. But because chef Matt Troost is rolling fresh pasta and frying pigs’ ears in the kitchen, it’s hard not to pay attention to the food. Troost pairs slices of porchetta with punchy apple mostarda, tops housemade pappardelle with bolognese and fresh mint, and layers a fiery combination of chicken thighs, garlic, squash and thyme onto his pizzas. Overall the food is so good you can eat it—happily—in any environment at all. Can’t get down to Taylor Street? Follow @masterofthesun for enticing photos of meat and brunch. 1321 W Taylor St (312-243-1577). Average main course: $13. Vera Chef and frequent tweeter Mark Mendez, formerly of Carnivale, escapes the trappings of his former employer with this quiet, plain-looking spot. The room is mostly set up like a proper restaurant, but with a focus on wine and small plates, it is better approached as a wine bar with food. Snacky items that will help you get through a bottle or two include the warm bread with a trio of butters, anything from the cheese station (which shows off both Spanish and local varieties), and a hearty paella laced with luscious morsels of rabbit. Wait for a seat at the bar for maximum enjoyment. Follow @chefmendez for witty quips and nightly specials. 1023 W Lake St (312-243-9770). Average small plate: $12.